As much as it might feel cathartic to rip up your article, stomp on it, and scream, don’t do it. Take a look at what you’ve written. If you believe it has value, find another venue for it. It could be on your own blog, EzineArticles.com, or as a HubPage or Squidoo lens. Brush yourself off, and move on. Worse yet is if you let the fear of rejection keep you from pursuing higher paying writing jobs. I cannot believe how many times I’ve listened to the complaints of reasonably talented writers about the poor pay they’re getting from their online writing jobs, but when I suggest some higher-paying markets, they say that they don’t want to submit the sample of their writing that is required by these sites before they accept new writers. Some people will say that submitting a few hundred words written to fill this requirement is working for nothing, but considering the overall increase in their pay that could result if they are accepted, that is not a rational explanation. Others will say they’re holding off because they’re not sure of their abilities. Others will admit that the idea of their writing being judged frightens them. In both cases, it is more than worthwhile to swallow your fear and write. 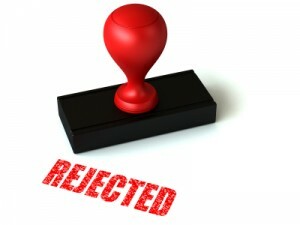 If you truly want to be a writer, the time to get used to rejection is now. And if that dreaded rejection does not come, the financial rewards are more than worth the risk.